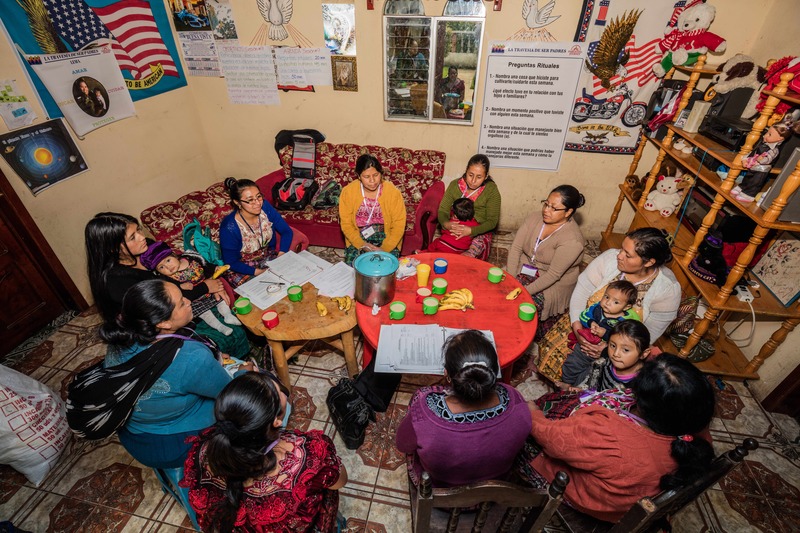 Nestled between a patchwork of pastures and cornfields, more than a mile above sea level in Guatemala’s highlands, ten women gather in a home for their weekly Parenting Journey workshop. Juana, the host, serves each of the woman “‘atol,” a traditional warm beverage, and a banana. The women warm their hands around the cup of “atol,” and make small talk in their native language of K’iche’ until Mil Milagros Mother Leader Volunteer Santos says, “Comenzamos!” (Let’s begin!). 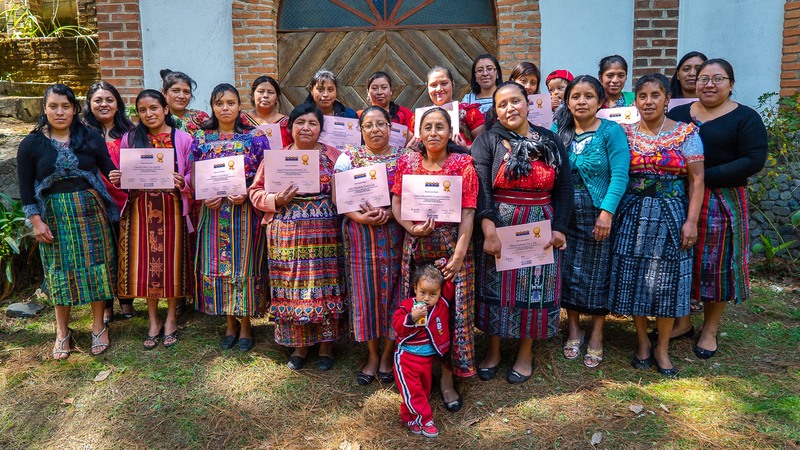 This is “La Travesia de Ser Padres” - The Parenting Journey in Guatemala - a 12-week program that helps women improve their self-esteem, learn new parenting skills, and build stronger families and communities. Mil Milagros staff members work in partnership with Mil Milagros Mother Leader volunteers to co-facilitate the program in a dozen different homes. These homes are a safe haven for the women to talk about motherhood, their lives, and the challenges they face in a country that can be an unforgiving and difficult place for women. In the United States, there’s a wealth of information for parents available at their fingertips. Many parents buy books and do research on the internet to educate themselves. 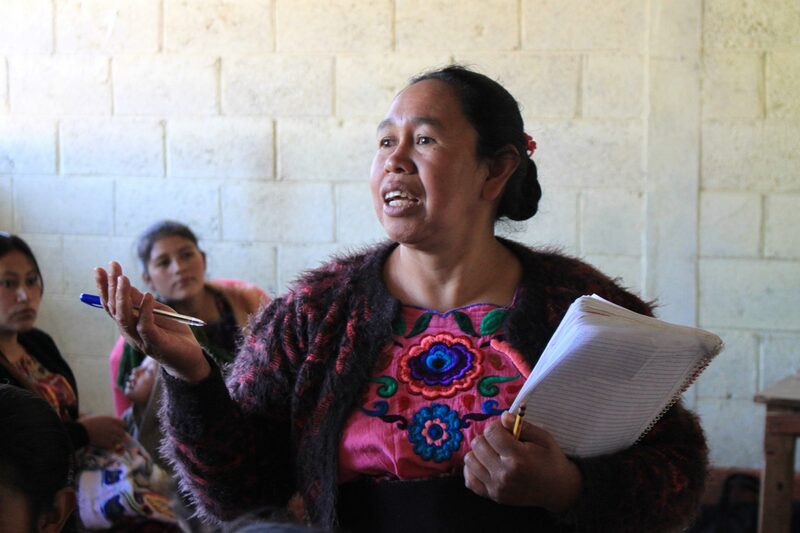 Women in rural Guatemala do not have ready access to helpful information. This is where Mil Milagros and Parenting Journey come in. Parenting Journey is not only about raising children. A key part of the program is about helping women to improve their self-esteem. Guatemala is a country that is rife with sexism. Many Guatemalan women come from broken homes, suffer at the hands of abusive husbands, and feel trapped by the lack of opportunities available to them. It is not uncommon for a woman to have to ask her husband for permission if she needs to leave the house - and she doesn’t always get it. Parenting Journey provides a safe place to talk about these issues. Women who attend Parenting Journey meetings feel less isolated and gain the confidence necessary to discuss the difficult situations they face. Another important component of the Parenting Journey program is coaching women on how to appropriately express their emotions to their children and families. Many women in Guatemala grow up without expressions of love and appreciation from their families. It’s not that they were raised in unloving families; rather, they were raised in a culture where love and appreciation are not always outwardly expressed. 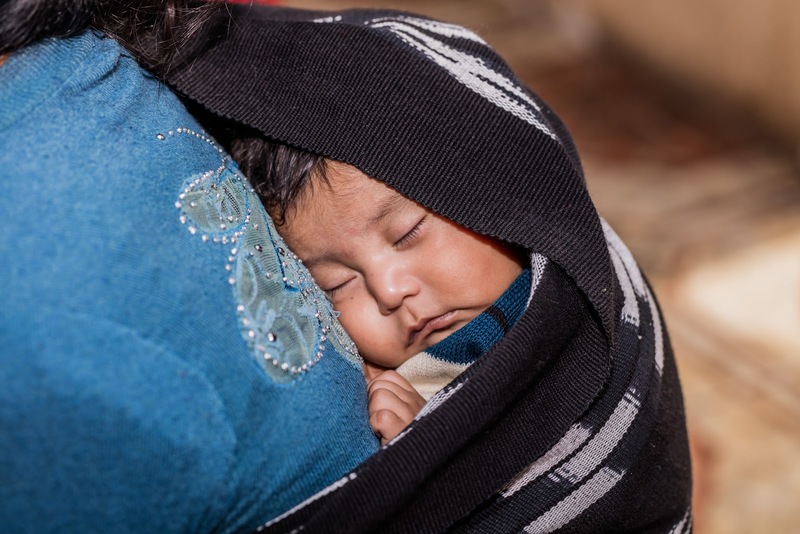 Because of this experience, the women sometimes shy away from expressing love to their children. Parenting Journey helps the women to understand that it’s important to express and show love - not only to their children, but also towards their friends, family, and perhaps most importantly, themselves. At the end of the 12-week program, Mil Milagros hosts a graduation ceremony to celebrate the women who complete the program. During the ceremony, held at a rustic inn, the women talk about how they have changed, what they have learned, and their hopes for the future. The changes observed in the women are inspiring. They are more confident to speak their minds. They report having better relationships with their husbands and children. They form bonds with other women in their communities, and ultimately feel less isolated. Many of the women credit Mil Milagros and the Parenting Journey with changing their lives. Mil Milagros is grateful beyond words for our very special partnership with Parenting Journey. We look forward to continuing to work together to reach more women to make a lasting in their lives and those of their families for years to come. ‍Parenting Journey is a Somerville, MA-based nonprofit organization with the mission of building stronger communities, one family at a time. Mil Milagros has partnered with Parenting Journey since 2016.